The SGI Traffic safety spotlight for March is Occupant Safety! It is a known fact that seatbelts can decrease the chances of sustaining a serious injury in a traffic crash by as much as 50%. 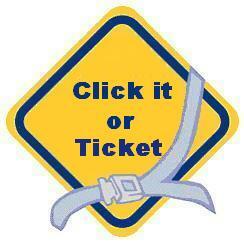 One of SGI’s main traffic safety goals is to prevent deaths and serious injuries by improving seatbelt usage.